Make it a special stay for just the two of you in this exquisite room. Decorated in rich bold colors representative of the time, Edward's Mountain Sunrise Room is one of the most memorable bedrooms at the mansion. 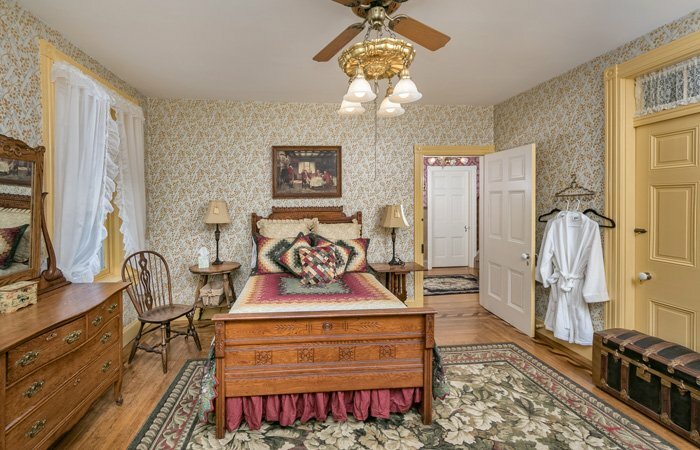 Located on the second floor, this comfortable room features an antique oak carved full sized bed and other interesting antique furnishings from the 1800s. 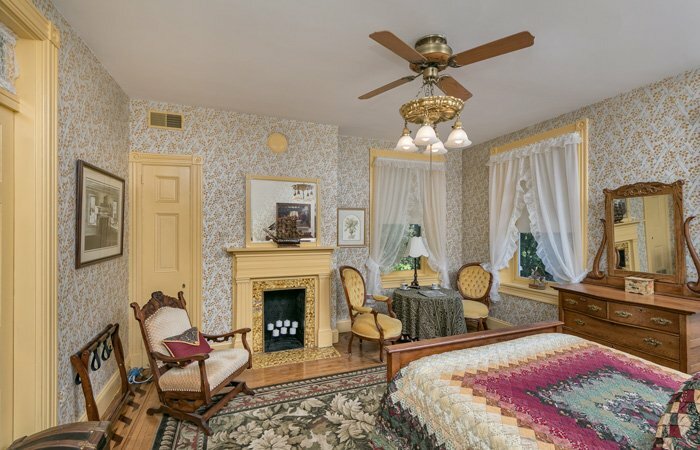 Enjoy the eastward facing sun rises over nearby Mt Zion and views across the valleys leading towards the Susquehanna and Lancaster. Edward was John Emig's oldest son and the one most responsible for carrying on the entrepreneurial spirit of the Emig family. In the 1880s, Edward took on the responsibility of renovating the mansion and many of the exclusive additions are still present for you to enjoy today! Oak floors and a marble tiled fireplace add to the charming spirit of this room.